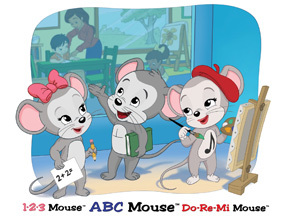 The computer mouse is also represented at ABCmouse.com by ABC Mouse's friends 1•2•3 Mouse and Do-Re-Mi Mouse. Together, they show how young children can truly enjoy reading, mathematics, music and art through the computer, setting the stage for a lifetime love of learning and creativity. ABCmouse.com’s curriculum has been designed in close collaboration with nationally recognized early childhood education experts. We are deeply grateful to the following individuals, as well as the many other education professionals who are helping us build an outstanding educational resource. Kimberly Oliver Burnim: Ms. Burnim, a kindergarten and first grade teacher for more than a decade, has been acknowledged for her hands-on commitment to teaching excellence as the United States National Teacher of the Year for 2006, and by being named as one of 2011’s “28 Most Influential Black Women” by Essence magazine. She brings to ABCmouse.com a deep and forward-thinking understanding of the role that technology should play in early childhood education. In addition to strategic curriculum planning, Ms. Burnim collaborates in the design of learning activities and other site content that are developmentally appropriate, that incorporate effective teaching strategies, and that help build a strong foundation of essential concepts and skills important for early childhood learners. Dr. Rebecca Palacios: With over two decades of experience in early childhood education, as well as a Ph.D. in curriculum development, Dr. Palacios is a pioneer in the field of dual language learning; and she is co-founder and former vice chairperson of the National Board for Professional Teaching Standards (NBPTS), an organization that has certified more than 92,000 teachers in the United States during the past 20 years. Dr. Palacios is engaged in strategic curriculum planning for ABCmouse.com and in the design of age-appropriate learning activities and other site content that effectively teach essential concepts and skills to young children. In addition, she is involved in the development of site content that supports English language learning for children from households in which English is not the primary language. Stephen M. Tomecek: Mr. Tomecek is the Executive Director and founder of Science Plus, Inc. He began his professional career as a geologist specializing in geomorphology and soils. He then served as the Associate Director for the Science Museum of Long Island and as the Science Program Supervisor for the New York Hall of Science. He has also served as a writer and science consultant for the National Geographic Society, Scholastic, Inc., and Chelsea House. In the past, Mr. Tomecek has written and has helped to develop websites for Discovery Communications, the Johns Hopkins School of Public Health, Los Alamos Labs, and the Jason Academy. For eight years, Mr. Tomecek was the on-air host for the New York Kids show on WNYC radio in New York City and was the writer and star of Dr. Dad’s Ph–3, an Emmy Award-winning television series produced by Louisiana Public Broadcasting. Steve’s television credits also include serving as the Science Educational Consultant for 3–2–1 Classroom Contact produced by Children’s Television Workshop and as a curriculum specialist for both Newton’s Apple and Scholastic’s Magic School Bus. Phyllis Baecker: Ms. Baecker has more than two decades of experience with several leading children’s educational publishers, including Scholastic, Inc. Throughout her career, Ms. Baecker has managed, edited, rewritten, and provided production services for numerous individual children’s books and series as well as parent’s and teacher’s guides, including the My First Steps to Reading series, Dr. Seuss and His Friends parent guides, Disney’s Wonderful World of Reading books, and the Clifford book series. Ms. Baecker’s expertise in children’s publishing helps ensure that our online books represent the best practices of editorial conventions for young readers. Dr. John Bollard: Dr. Bollard is a professional lexicographer with more than 25 years of experience. In addition to ten years as an editor at Merriam Webster’s, Dr. Bollard has served as Senior Editor of Cambridge Dictionary of American English (2007); Editor of The Scholastic Student Thesaurus (2002) and Children’s Thesaurus (1998); Contributing Editor of The New Oxford American Dictionary (2001); and Consulting Editor for Webster’s New World Thesaurus (1996). Dr. Bollard has been of great assistance in the preparation of ABCmouse.com’s glossary. Kevin O’Donnell: Mr. O’Donnell brings years of experience in the field of children’s entertainment, including educational entertainment, to his role as a senior creative consultant to ABCmouse.com. Mr. O’Donnell was a leading creator of the award-winning PBS television series, Liberty’s Kids, voiced by well-known personalities, such as Warren Buffet, Walter Cronkite, Billy Crystal, Michael Douglas, Maria Shriver, Annette Bening, and Liam Neeson. He has also creatively contributed to such classic children’s shows as Madeline, Dennis the Menace, Strawberry Shortcake, and Where in the World Is Carmen San Diego. 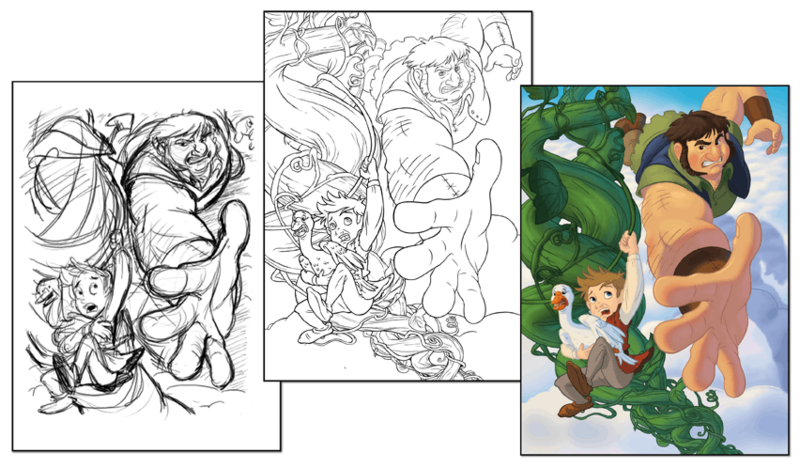 Age of Learning’s talented production and creative team includes more than 100 visual artists, designers, writers, composers, musicians, voice-over artists, and programmers. This ever-growing team of professionals is dedicated to providing your child with the highest-quality educational experience possible. Additionally, our ongoing creation of new content will keep ABCmouse.com fresh, engaging, and up-to-date for our early learners. ABCmouse.com’s online books, educational games, puzzles, art activities, and printables feature hundreds of beautiful original art and illustrations, created by artists who have decades of experience in producing high-quality children’s art for leading animation studios. 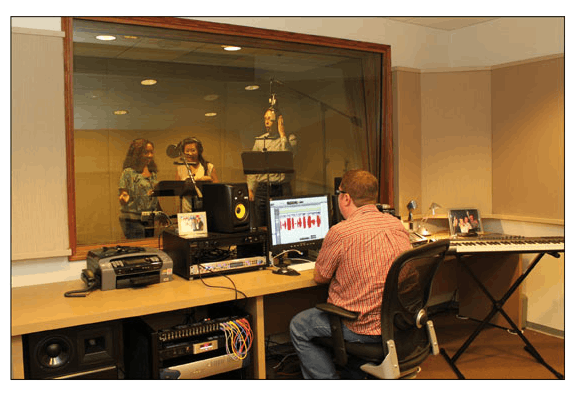 Our professional staff also includes musicians, singers, and voice-over artists, who record ABCmouse.com’s original and classic children’s songs as well as read-aloud books in our own fully equipped in-house recording studio.